The biggest business event in Moldova. The Moldovan Agency of Investments organizes the 5th edition of the "Moldova Business Week" conference - an annual platform for information and best practices exchange. It will serve as ground for the country's economic development policies implementation and present the global trends to which the Republic of Moldova is aligning. 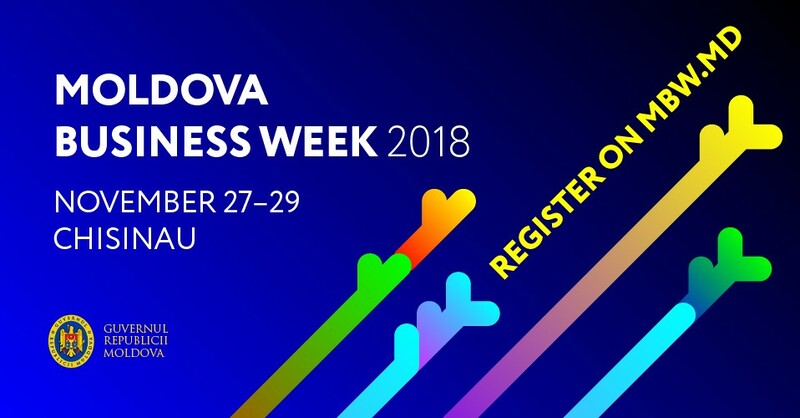 Around 1000 participants from 53 countries and over 75 speakers are expected in Chisinau on November 27-29 at the most important economic event of the year – Moldova Business Week 2018. The fifth edition of the „Business Week”, organized by the Investment Agency, under the aegis of the Government of the Republic of Moldova, aims to establish new, lasting and transparent trade relations with partners from all over the world.